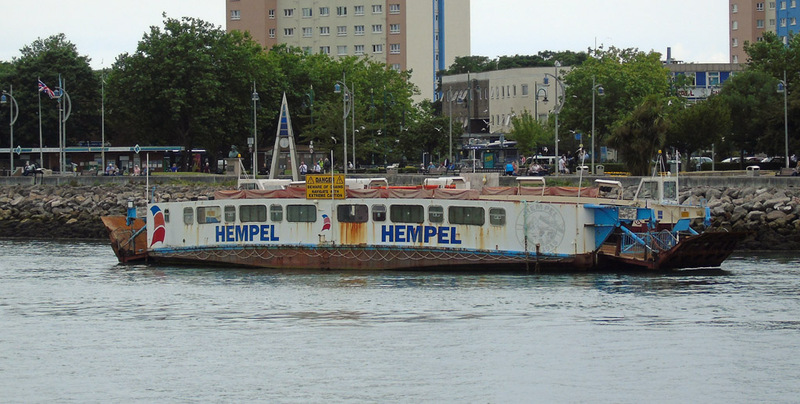 Now redundant (since the inception of "floating bridge no. 6") ex Cowes chain ferry Floating Bridge No. 5 in Gosport 04 July 0217.